China's stock market is in the midst of a reverse Isaac Newton moment. What goes down, must come back up. Way up actually. The Shanghai Composite has soared 12% so far in October after its dramatic 34% plunge between June and September. China's turmoil was largely to blame for the global market sell-off this summer, when CNN's Fear and Greed index was flashing "extreme fear" for days. So you could make the case that the rebound in China is what's helping lift investor sentiment around the world right now. Japan's Nikkei has gained more than 4% in October. Germany's DAX is up 5%. The S&P 500 has surged nearly 6%. 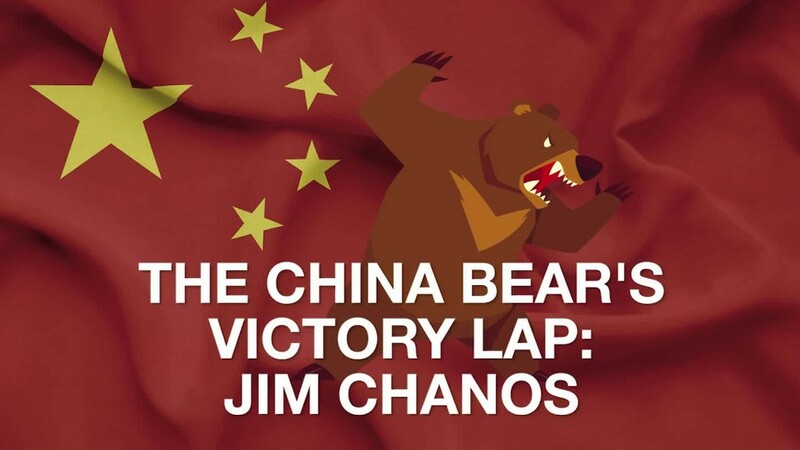 So is the worst really over in China? It's probably too soon to tell. But here's a potentially good sign. The rally is being led by big Chinese blue chips, not speculative momentum stocks. The U.S.-listed shares of Alibaba (BABA) have soared 22%. It's an impressive rebound for Jack Ma's company. Alibaba is even feeling confident enough to start shopping. The company announced last week it was planning to buy the remaining stake in Youku Tudou (YOKU) -- aka China's YouTube -- that it didn't already own. Several other large cap Chinese Internet stocks have surged too, including gaming site NetEase (NTES), online travel agency Ctrip (CTRP) and cybersecurity firm Qihoo 360 (QIHU). But it's not just Chinese tech companies that have rebounded. Energy giants Cnooc (CEO), PetroChina (PTR) and China Petroleum (SNP) are all up about 20% this month. Financial firms Noah Holding (NOAH) and China Life Insurance (LFC) have rallied sharply. So have shares of Aluminum Corp. of China (ACH), hotel operator China Lodging (HTHT) and Yanzhou Coal Mining (YZC). Investment strategists like to see broad-based rallies. It's more troublesome when only a handful of companies in one or two groups is doing well. That's clearly not the case here. So will the trend continue? It's worth noting that the Shanghai Composite barely budged after the release of China's most recent GDP numbers Monday. That's encouraging since the numbers were not fantastic. Growth slowed to 6.9% in the third quarter -- the slowest rate since the 2008-2009 financial crisis. Still, GDP was a bit higher than what economists surveyed by CNNMoney were expecting. At the very least, it has reassured investors that the sky is not falling. That may be enough to keep the rally going. China doesn't have to prove that it has a plan to accelerate growth again. That's unrealistic. It simply needs to stop the bleeding. 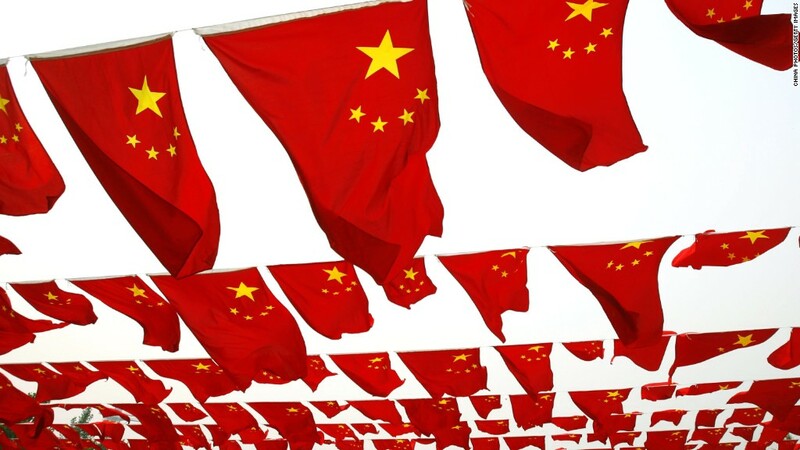 "The key question, of course, is when China will be able to say that it has 'stopped the rot' in terms of slowing economic momentum," wrote David Kelly, chief global strategist with JPMorgan Funds, in a report Monday. One way to 'stop the rot' is to send signals that more stimulus is on the way. It's widely expected that China's government and central bank will do more to keep the economy and stock market from slowing much further. Another bad news is good news rally? So the October rebound may be a case of bad news being interpreted as good news by investors. Economic weakness = more easy money policies. This line of thinking appears to be fueling stocks in Europe too, where hopes are running high that the ECB may buy more bonds due to concerns about deflation. And a weak jobs report in the U.S. earlier this month has some investors thinking that the Federal Reserve could now hold off on a rate hike until next spring. But investors will eventually want to see more proof that China is stabilizing. Economists at Barclays are still worried about how China's economy will fare next year, calling it a "bumpy road in China's transition." "We continue to see three major headwinds: excess capacity in many industries, oversupply in the housing market, and high debt burdens," the economists wrote in a report Monday. It's also not clear just how healthy the Chinese consumer is either. Big casino companies like Wynn Resorts (WYNN), MGM Resorts (MGM) and Las Vegas Sands (LVS) are having a miserable time trying to make money in Macau. Fast food giant Yum! Brands (YUM) is continuing to face problems with KFC and Pizza Hut in China. It's so bad that the company announced plans to spin off its China operations on Tuesday. Luxury retailers Hugo Boss (BOSSY) and Burberry (BBRYF) both recently reported dismal results from China. And the world's most valuable company, Apple (AAPL), has lagged the broader market this month partly due to concerns about iPhone demand in China.